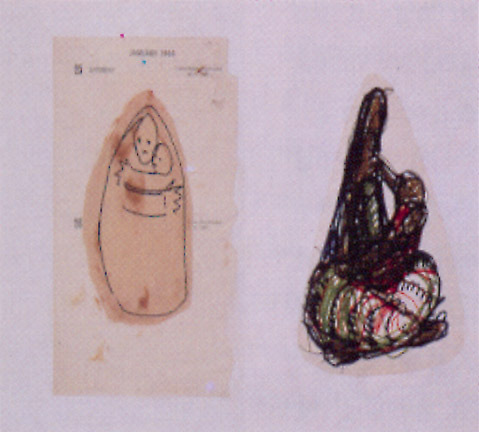 Studies for "Mother and Child" by Ng Eng Teng. Studies for "Mother and Child" by Ng Eng Teng (nationality: Singaporean). Year: 1969. Medium: Ink & felt pen on paper. Size: 33 x 43cm.